Israeli President Reuven Rivlin declined to meet US leader Barack Obama during a visit to New York, says an Israeli newspaper. The White House said the meeting was not possible due to the two officials’ conflicting schedules. Rivlin arrived in the US last week to speak at the UN headquarters, where International Holocaust Remembrance Day is being held this week. According to Haaretz, the president declined an invitation from the White House to meet Barack Obama. Rivlin’s office has been seeking to organize his meeting with Obama during the January visit since December, Alistair Baskey, the deputy spokesman for the White House National Security Council said. 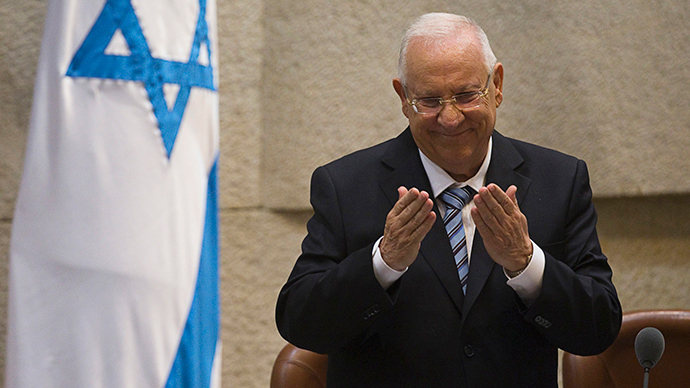 According to a senior Israeli official cited by the Israeli newspaper, Rivlin didn’t want to impose himself on Obama at first and was prepared to travel to Washington to meet him. Weeks of negotiations between the two offices ahead of Rivlin’s visit failed to materialize in a meeting, and on Saturday the Israeli president reviewed the latest suggestions from Washington and finally declined to pursue it. “Due to scheduling conflicts, a meeting during this visit will not be possible,” Baskey commented on the non-event. “At this stage, it has been agreed not to hold a meeting during his visit, due to the schedule constraints of both leaders, and that a meeting would be scheduled at a later date,” a spokesman for Rivlin’s office confirmed in a coordinated statement. The relations between Israel and the US are tense due to conflicting views on Middle-East policies advocated by Obama and Israeli Prime Minister Benjamin Netanyahu. A series of cabinets under Netanyahu has been pursuing a rigid rightist agenda, which includes construction of new settlements in Israeli occupied territories and other steps alienating Palestinians. Obama’s second-term administration tried to make Middle-East peace mediation a key point of its foreign policy. The latest instance of this confrontation came last week, when it was revealed that Netanyahu was planning to deliver an unscheduled speech before the US Congress. Democrats see the move by Republican House Speaker John Boehner, who invited the Israeli leader, as a partisan step violating the protocol and inappropriate for an international policy issue. Haaretz suggests Rivlin’s decision was at least partially motivated by his desire not to be perceived as taking part in the conflict.